The Twitch Prime Pack Backup Plan Back Bling in Fortnite BR. Available for free for Amazon Prime/Twitch Prime members. 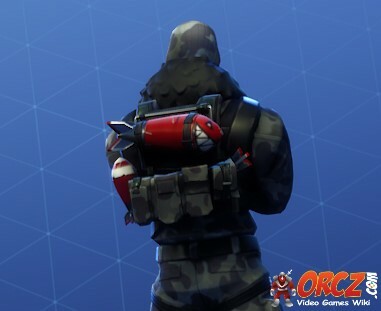 Backup Plan is the name of one of the Back Blings in Fortnite Battle Royale. Part of the Twitch Prime Pack. Leave a wake of destructions. Twitch Prime is available for free for all Amazon Prime members. If you are not an Amazon Prime member, you can join and become a Twitch Prime Member to get this backpack. To redeem, go to https://www.epicgames.com/fortnite/en-US/twitch-prime-pack and follow the instructions to link your Epic account to your Prime account. FREE for Twitch Prime members. This page was last modified on 8 May 2018, at 11:51. Content is available under Creative Commons Attribution Non-Commercial Share Alike unless otherwise noted.